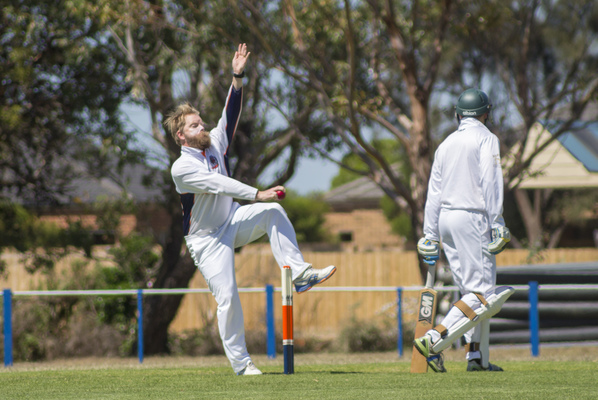 Collendina set up a compelling A Grade home semi-final re-match against rivals Ocean Grove after it survived a narrow one-wicket victory over Little River on Saturday. Cobra tailender Jye Hearps hit the winning runs in a tense finish. The Cobras finished second on the ladder with 52 points. Anglesea claimed the minor premiership with 58 points while third-placed Ocean Grove (51 points) and Drysdale (48 points) rounded out the top four. Chasing 186 against the competitive Little River on day two for victory, the task was made tougher without prolific batting pair Corey Walter (suspended) and Ben Ricardo (back injury). The home side finished at 9/193 from its 75 overs. Collendina coach Corey Walter, who was suspended for two games following his on-field behaviour against Ocean Grove in Round 9, said it had been tough watching from sidelines. “I hate watching – I’ve been training hard and getting around the boys – so looking forward to next week that is for sure,” Walter told the Voice. “I was bloody nervous. I am a shocking watcher I can’t watch at the best of times – I did not realise if we had of lost we would have finished in fourth spot. 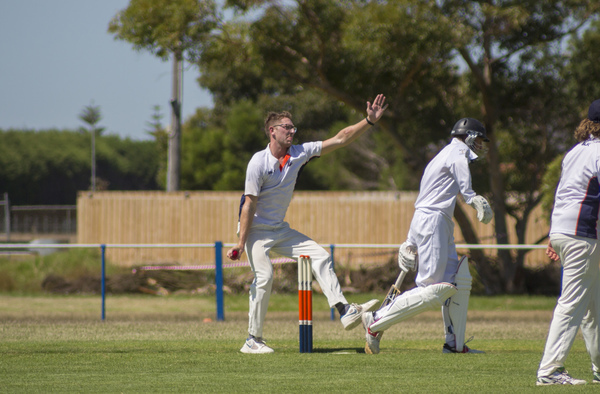 Collendina’s top order, including openers Kade Norquay (28) and Cameron Kavailiunas (20), made starts, while stand in captain Nathan Walter (36) looked ominous before he was dismissed. Walter praised the development of star youngster Max Sutton after his innings of 36 in the middle order. It was Sutton’s highest score with bat in 2017/18 and arguably his most important innings in A Grade. “He was fantastic he obviously gave himself a chance,” he said. “I think that is what our top has been lacking at the moment getting frustrated and trying to play a few too many big shots too early. Cobra pair Andy Higgins (4/46) and Charlie Lamb (3/50) were the leading wicket-takers on day one. In C Grade Collendina lost on a team forfeit to Armstrong Creek. 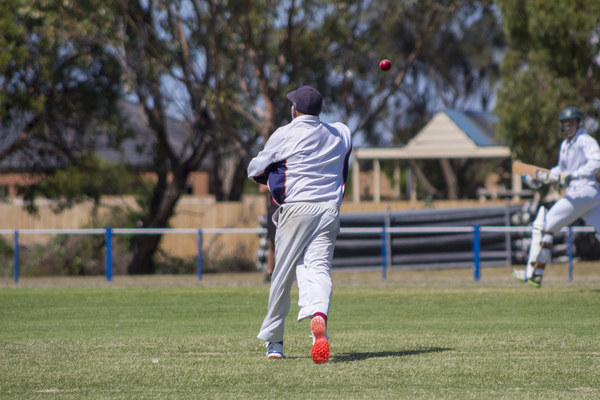 Collendina defeated Jan Juc in a D Grade qualifying final. Batting first the Cobras made a competitive 8/174 from 40 overs. Mark Fletcher retired on 44 not out, while Jacob Gasior (40) provided good support. 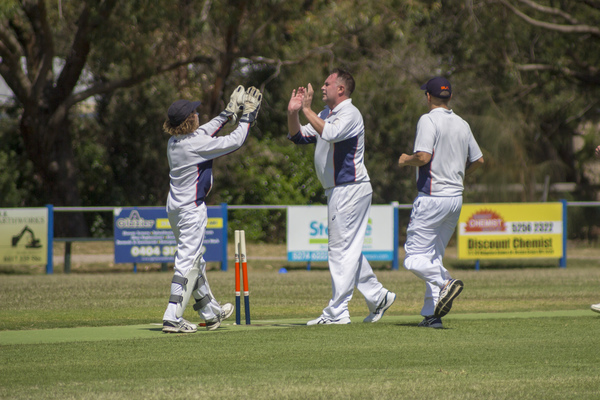 In reply Jan Juc compiled 6/149 with Dave Treharne the leading wicket taker 2/19 from eight overs. The Cobras will now play its D Grade preliminary final this Saturday against Little River.